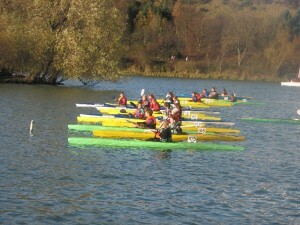 “For the first time in many years a sea race is being held on the Forth Estuary near Edinburgh. The date is Sunday 10th May 2015. Attached are two PDF files advertising the event. Pre-registration entries can be made online at a discount of £3. Much more information is available by email requesting a digital Race Pack (PDF). 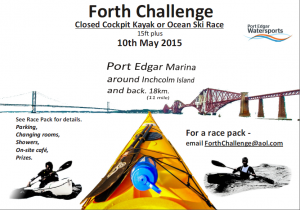 Hoping to see you and your Club at The Forth Challenge 2015.